The Russian Orthodox Church remembers the Holy Martyr Daria Zaysteva on March 14 (March 1 on the Old Calendar). In 1938 she was shot dead at the Butovo firing range. Under interrogation, she did not deny the fact that she disapproved of the Soviet authorities due to its persecution of the Church. She was an ordinary Russian woman, the daughter of Peter Zaystev named Daria. She was born in the village of Bogoslovo in the Ryazan district in the Ryazan region in 1870. At 19 she entered the Sts Boris and Gleb Convent of Anosino as a novice in the Zvenigorodsky district in the Moscow region. In 1938, the year of the shooting, she was 68 years old. She was in no way an extraordinary woman from the point of view of both secular and church people. It would seem that there were no particular miracles in her life. She did not show striking ascetic deeds nor had a prophetic gift. She was not even a nun, but just a novice. It means that she was, in a way, a “nobody” for the convent… A novice in comparison to a monk does not have any rights at all in a monastery. A novice only serves others. She did serve: usually she brought water from the Istra River to the high hill where the convent was situated. Her life seemed to pass unnoticed. 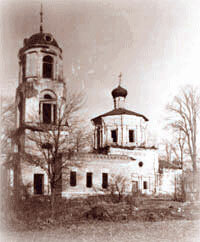 In 1928, the convent, where Daria Petrovna lived, was closed by the Bolsheviks. Then she moved to the village of Kholmy in the Istra district in the Moscow region, where many nuns lived, who were from convents that had been closed by the Soviet authorities. 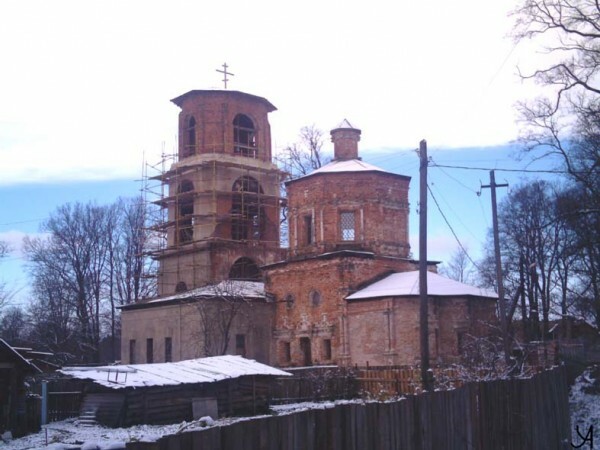 In Kholmy, she settled in a lodge near the Theotokos of the Sign Church. She helped in the church and was chosen to be a steward of the parish in 1934. Daria Petrovna did not demonstrate her anti-Soviet views, but did not hide them either. 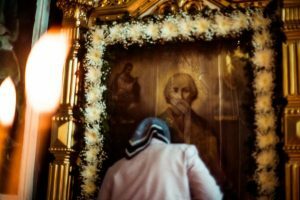 Talking with believers, she knew how many people were arrested for being Orthodox alone. She perfectly understood that sooner or later someone would come to take her too, but did not want to stop serving in the church. She simply prepared an emergency bundle of clothes at home, in case of an arrest. As it turned out, it was for a reason. In 1937, a report was sent to the Istra Department of the NKVD, which stated that a member of a closed convent lived in Kholmy who sold lamp oil and baptismal water at a railway station. The informer demanded that officers of the NKVD pay attention to this “disgrace” as he called it. It took some time for the investigation to begin, which was carried out in February, 1938. Apparently, such “crimes” were not much of a concern for the local NKVD department. It was rather a schedule of arrests which influenced this process. There was no trouble to fulfill such a plan in 1937, but in 1938 it was hard to find enough candidates for “public enemies” left. The servicemen did not have much choice. At that moment, the reported information about Daria Petrovna came in handy. 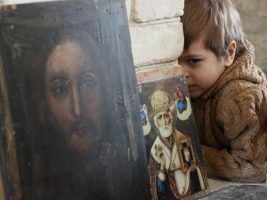 There was an interrogation of some witnesses, who testified to the fact that Novice Daria held conversations with people saying that “they needed to pray more to God” and “God will punish the Bolsheviks for their destruction of the faith”. Thus, the reason for the arrest was found. 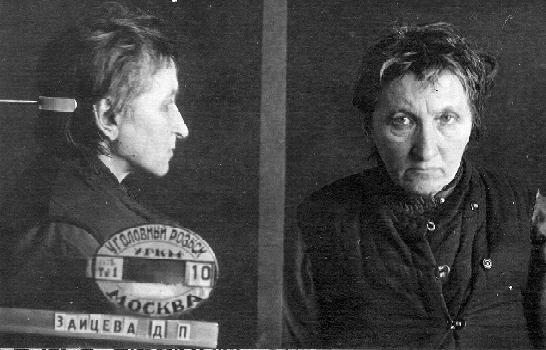 Daria Petrovna was arrested on March 3, 1938. At first she was put in a preliminary detention cell on the premises of a police office in Istra. The first interrogation was conducted there. The number of the NKVD servicemen was scarce due to the large amount of prisoners and arrested people under interrogation. Therefore, Daria Petrovna was interrogated by a member of the criminal investigation department. He demanded that Daria Petrovna tell him about her anti-Revolutionary agitation among people in Kholmy. So she did. She told him about the things that were already well known. Firstly, she disapproved of the Soviet authorities, just as most people in the country. Secondly, people lived incomparably better in czarist days and worse when the Communists came to power. Thirdly, the Communists illegally harassed Orthodox believers, and put priests, deacons and nuns in prison. Fourthly, she herself had prepared a bundle of clothes and waited for her arrest. And finally, she admitted that she did say the words about the Bolsheviks that were in the report. In the winter of 1937 she told women who came to her lodge that they needed to pray more to God and to ask the Lord to help to escape from that government and to send another. Daria Petrovna admitted the fact that she talked with women about a coming war. She said that she was confident that a war would begin, as a result of which the Bolsheviks’ power would end. Likewise she confirmed that she was ready, if necessary, to die for both her faith and the czar. At the end of the interrogation, Daria Petrovna specified that she actually disapproved of the Soviet authorities, saying: “I am dissatisfied with the current government for the only reason that the authorities close churches and persecute religion and Orthodox believers, and therefore, I cannot accept the modern regime.” She stated that if her opinion was indeed considered to be anti-Revolutionary activities, there would be nothing left for her to do, but to admit it. The accusation against Daria Zaysteva was “active anti-Revolutionary agitation, and expressions of a defeatist mind about the fall of the Soviet power.” The NKVD Troika sentenced Daria Petrovna to death of shooting on March 8, 1938. Then she was transferred to the Taganka Prison in Moscow. There a photograph of her was taken for the executioner. The photo turned out to be surprisingly living and almost like an artistic portrait. We see she was not a “crass peasant” who promoted “religious prejudice” in her village – as the servicemen probably tried to prove on the foundation of her file. This picture which is seventy years old illustrates an absolutely serious, smart and wise woman. She has a clear, confident and completely good-natured look. Daria Petrovna did not play in these “games”. “Why deny the obvious?” – as if her eyes say in the prison photograph after decades. After all, the true “anti-Soviet activities” were not one’s participation in “conspiratorial organizations” nor the issue of “anti-Soviet” leaflets at the time when Daria Petrovna died. The true fight with the Bolsheviks was a simple and humble Christian life, and also, one’s determination to live according to one’s conscience and hold responsibility for their words. Novice Daria demonstrated this by her life and death. Novice Daria Zaysteva was shot dead on March 14, 1938 and buried in an unknown grave at the Butovo firing range near Moscow. Novice Daria was declared a New Martyr and Confessor of Russia in 2000. The Theotokos of the Sign Church in Kholmy, where Daria Petrovna lived for ten years, is currently being restored. Regular divine services take place in this church, where a parish also exists. Since 2005, there has been an icon of the New Martyr Daria on a pillar to the left of the altar in the church.